On 5 Sep 2013, a patient suspected to have leishmaniasis from Lamphun, a northern province of Thailand, was reported to the Bureau of Epidemiology. An investigation was carried out to identify reservoirs and vectors. Active case finding was carried out among those who lived within 200-meter radius from the patient’s residence. Blood samples were collected from humans, domestic mammals and rodents, and adult sandfly trapping was conducted by light traps. The patient was a 38-year-old man infected with human immunodeficiency virus (HIV) who had worked as a lumberjack and a woodcraftsman. In addition to many kinetoplasts in the bone marrow and amastigote form of Leishmania, Leishmania martiniquensis was identified by polymerase chain reaction (PCR). A total of 12 suspected cases out of 123 surveyed villagers were identified. However, all human specimens were tested negative by direct agglutination test and PCR. Female Sergentomyia sandflies were found. Deltamethrin fogging was done to control the vectors. Visceral leishmaniasis was confirmed in an HIV positive male from northern Thailand. Awareness of leishmaniasis among immunocompromised people should be raised for timely appropriate medical attention and specific vector control for sandflies in the area should be implemented. THANAKITJAROENKUL, Jessada et al. Epidemiological Investigation of Visceral Leishmaniasis Caused by Leishmania martiniquensis in a Non-endemic Area of Thailand. OSIR Journal, [S.l. ], v. 9, n. 2, p. 1-7, nov. 2016. ISSN 2286-8933. 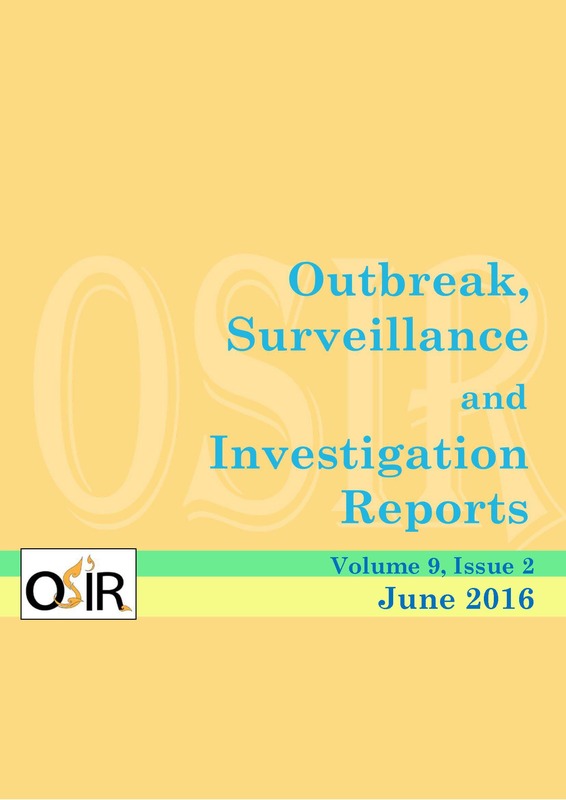 Available at: <http://osirjournal.net/index.php/osir/article/view/11>. Date accessed: 25 apr. 2019.